Originally built for and competed in the 2005-2006 Volvo Ocean Race, Noahs II changed its name from Southern Excellence II and reaped some great results in previous races. Purchased by Noahs Group early this year, a number of systems have been upgraded on the boat to improve her IRC rating and to suit requirements. Equipped with new mast and rigging the team expect this boat could take them to a glorious victory. 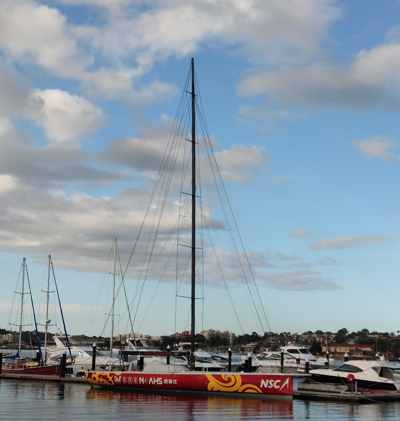 For the 74th Sydney Hobart race, the crew has been selected from top athletes in China and the training program for this Volvo 70 boat led by coach Steve McConaghy, a very experienced skipper who has witnessed a lot of victories in his sailing career. The crew are more than excited for the race and the upcoming challenge while preparing themselves with courage and passion for the journey!